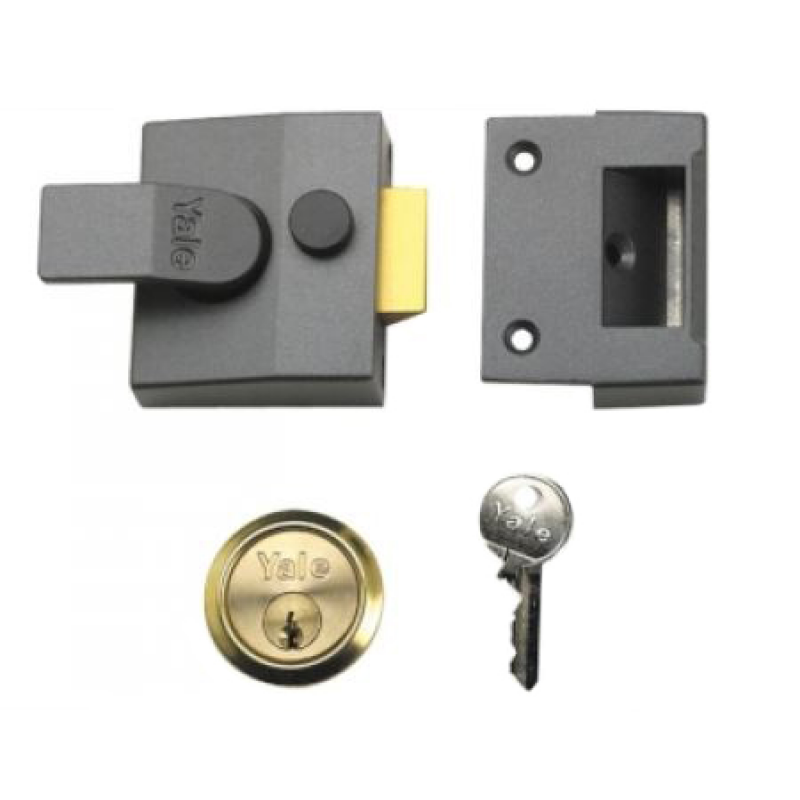 The Yale 85 Narrow Rim Nightlatch With DMG Case & Polished Brass Cylinder is one of the most widely-used front door latches. It is key operated from the outside and lever handle operated from the inside. The latch automatically deadlocks on closing the door and the snib function (bolt hold back button) allows the latch to be held back. The inside handle can also be deadlocked by a reverse turn of the key in the cylinder giving additional security (when deadlocked in this manner the latch cannot be opened from the inside only from the outside with the key). It comes supplied with 1109 cylinder. These locks are normally used where there is restricted space, such as on a narrow glass panelled door. The lock is covered by a 2 year guarantee and has a high security rating.